Most women love visiting spas. It’s not only for beauty treatment, but also for health maintenance reason. I’ve ever visited a spa once. One of spa treatments that I most like is body immersing in a hot tub. I feel very relaxed and fresh after doing it. All my stress and fatigue is like being lifted up. It would be a great pleasure if I can do this every day! Using hot tubs and spas is not only giving you the relaxation and enjoyment. A Jacuzzi hot tub applies jet of forced air to create water flow and bubbles. It will give you pleasure and healing effects. The warm water in a Jacuzzi hot tub will open your blood vessels and allow blood to circulate smoothly in your body. You can read about different studies results stating health benefits that you can attain by using a hot tub regularly. It’s a valid fact that there are positive effects of hot tubs on various health problems such as joint and muscle soreness, arthritis, stress and migraine, diabetes, back pain and hypertension. 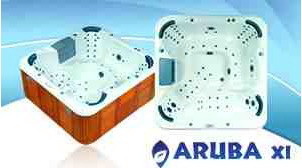 jacuzzi hot tubs, you can obtain natural healing benefits like hydrotherapy, hydro massage and reflexology. 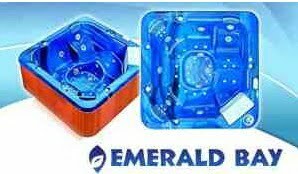 Have the beneficial functions of a hot tub made you consider installing a hot tub at your home? Oooh, this post makes me want to go straight to a spa after office :( It's been months since my last pampering.